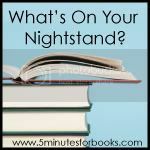 Time again for Nightstand! I haven't participated in a few months but, as a result, I kind of lost track of my reading goals near the end of January and wandered about a bit listlessly. So I'll kickstart my February by jumping back into my favorite meme hosted by 5 Minutes for Books. Note: I am not saying that I am no longer accepting review titles but I am glorying in the ability to choose my reads book by beautiful book! I'm just becoming way more picky about what I will accept. I'm finishing up re-reading Magic for Marigold (which, by the way, is being republished in April 2014) in conjunction with the Lucy Maud Montgomery Reading Challenge which I host here every January. I'll have it finished by the end of the week. It's nice to squeeze one more Montgomery into the month. There was also some pleasure taken in throwing an Anne of Green Gables tea party (locally) as part of this reading challenge. I love starting off a new reading year with Montgomery and I love concluding it with friends! 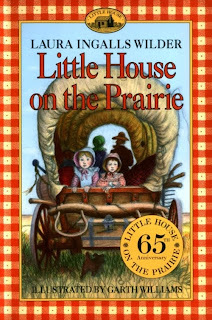 I will be re-reading Little House on the Prairie aloud to my kids this coming month. We've already read this title and, while I was tempted to move on to another title in this series, I don't think a re-read will hurt them. 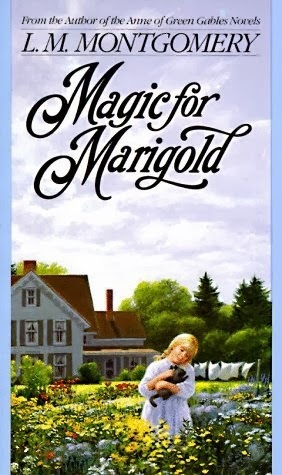 We'll be reading this one along with the Reading to Know Classic Book Club and also to participate in Barbara's Laura Ingalls Wilder Reading Challenge which she hosts over at Stray Thoughts. 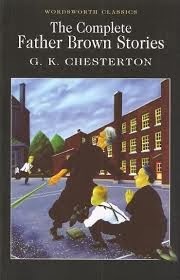 Lastly, I'm working through the The Complete Father Brown stories by G.K. Chesterton which I've never read. I'm reading these along with Annette. (It's always fun to read along with a friend!) Both of us are a few stories in and I'm positively loving it! So what's on your nightstand? I'm off to find out! I too am cutting back on review books. I have way to many of my own that need to be read. I got one LMM book done this month. I always enjoy her. I have set a few challenges for this year and I am going to try very hard to complete them so I don't have any re-reads on my list. I too started the Chronological reading of my Bible this year. I just finished with Joseph revealing himself to his brothers. I have really enjoyed this too! Never heard of G. K. Chesterton but looking forward to what you might have to say about them. I have to limit the number of "challenges" / "review books" that I tackle because my reading time is so sparse and I'm already in a book club that determines one book I read every month - and I tend to only read one or two more each month. It took me awhile to accept it, but I like to have a bit of reading freedom also so that I can say, "Actally I really suddenly want to read THIS book instead." Oooh, the Father Brown read-along sounds fun! The only thing I've read by Chesterton is Man Called Thursday, and I can't say I understood it. Fewer review books and reading freedom are great things! I'm always very careful about taking review copies of books. There are too many books I've bought to read and only so many hours in the day. I have never read anything of Chesterton's but I do like several quotes of his that I have seen. I don't think I knew he wrote any books like this one - sounds fun! I've wanted to read the Bible through chronologically some time too, but somehow I don't think about it when I start reading again. It would be helpful to have it laid out in readings like that. I actually emailed TT yesterday to say no to their spring line up. :( I do love their books, but I still haven't written a proper review from the fall! Father Brown IS delightful! I'm so glad you shared him with me! 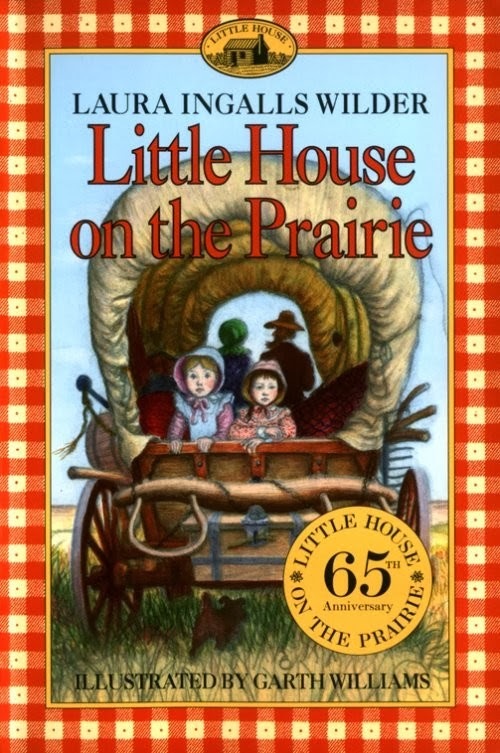 We just started listening to the Little House books in the car. We're also reading the My First Little House picture books. I'm attempting the same strategy this year: read more of books I already have and/or want to read, and less books for review. It's only January, but so far so good. ha. 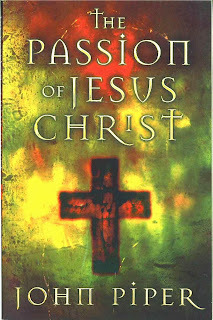 I have The Passion of Jesus Christ on my shelf but never read all the way through it; not sure why because I love every Piper book I've ever read. Chesterton is on my list this year; I've never read anything of his, other than short quotes. Review books. I applaud you gals who can actually handle that. I took a few for review back in the day and realized that I just don't have the attention span--I read so many books simultaneously that I can never really predict which ones I'm actually going to finish and have even less success predicting which ones I'm going to have anything to say about. So I just don't do them. Daniel and I listened to G.K. Chesterton's Man Called Thursday on a series of road trips this last year--and it's piqued my curiosity for more Chesterton. Maybe I'll have to take a look at Father Brown next. I too have cut back on my review books, now that I finally caught up on writing my reviews. ;) I didn't like that I couldn't read my own selections because I needed to get the review copies read and posted. I will still accept them but I think I'm going to only do one at a time instead of letting them pile up. Right now I'm waiting for a children's Bible to arrive. I requested it so that I could start checking out children's Bibles for our girl! 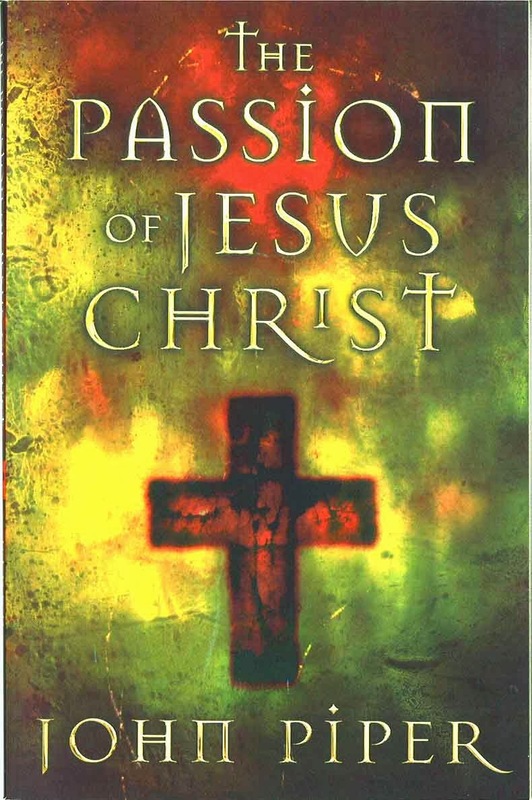 I hope you enjoy reading the Bible chronologically! I enjoyed reading it that way. It's really interesting to be reading several books at once because they overlap so much. Father Brown haunts me. I really want to read these books and yet never get to them. I've never read anything by Chesterton but I Father Brown requested at the library. I keep seeing his name and decided it was time to give him a try. I just got some Father Brown for my kindle last month, so I will eventually get to those. I am picky about books for review. The time I was able to cut WAY back on review books, I did the same thing. Having so much reading freedom was a little overwhelming to me. I'm working on getting back there, though! Both you and Annette have me curious about The Father Brown Series!